i. Warm up – Warm up with 5 to 10 minute of low impact exercises like walking or riding a stationary cycle before starting the exercises. ii. Do not feel pain – Should you feel pain, at any point while exercising, contact your physical therapist. a. Stand with body weight evenly distributed on both the feet. Hold onto a chair or wall for maintaining balance. b. Lift one foot of the floor in so that your entire body weight falls on the other foot. c. Raise the heel of the foot and as high as you can and then lower it. d. Repeat 20 times on the same foot and then repeat on the other side. 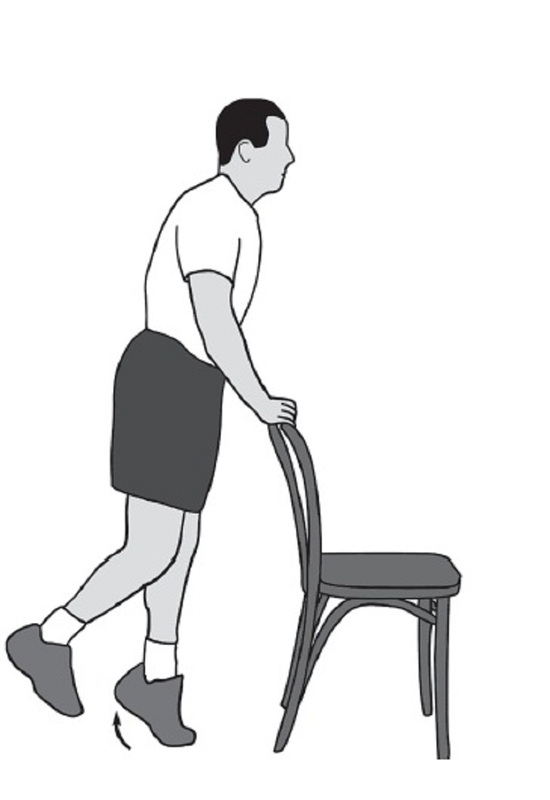 TO INCREASE THE DIFFICULTY LEVEL: elevate one foot and squat while holding a chair or a wall for balance and then raise your heel and lower it. 2. Ankle Dorsi flexion and Plantar flexion. For this exercise, you will need a theraband or a resistance tube. Start the exercise with a tube of lowest resistance and gradually increase the resistance. Keep your leg straight and heel on the floor for support. a. Sit on the floor with your legs straight out in front of you. b. For dorsi flexion, anchor the elastic band on a chair or table leg, and then wrap it around your foot. c. Pull your toes toward you and slowly return to the start position. Repeat 20 times. 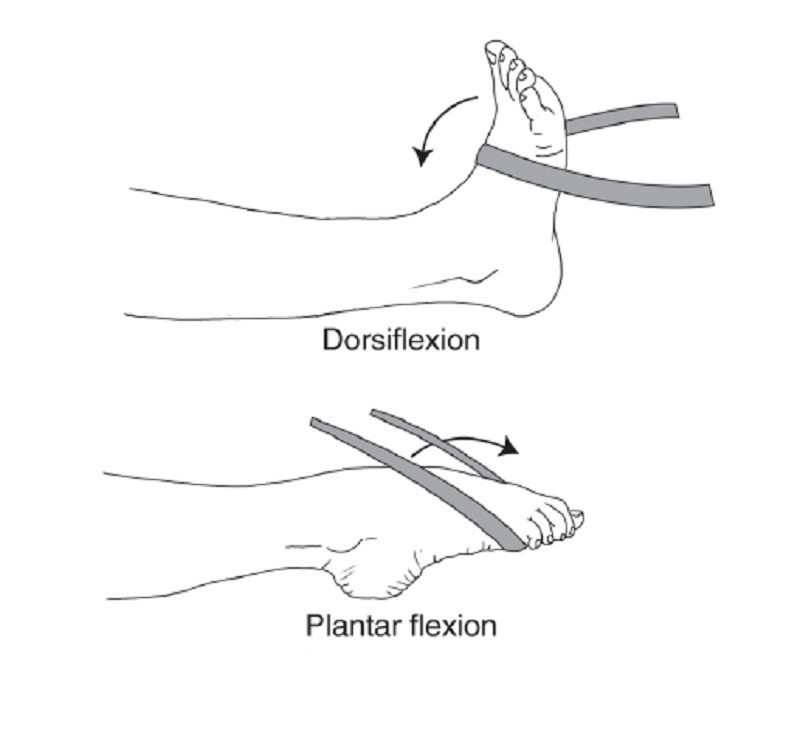 d. For plantar flexion, wrap the elastic band around your foot and hold the ends in your hand. e. Gently point your toes and slowly return to the start position. Repeat 20 times. To improve balance, stand on one leg on a hard surface with eyes open and slowly lift one hand and then the other. Increase the difficulty level by closing your eyes. To further increase the difficulty level, try balancing on a softer surface.